This is an article I wrote in Sept 2009. I make it freely available here. The Law of Attraction is a wonderful thing – that is unless you keep attracting what you do not want, rather than what you do want. You have watched The Secret. You have taken coaching from many of the great LOA teachers. You have spent the last few months thinking positive (or at least trying to) and you have created affirmations that will give you the most amazing life you can dream of. So, why are you still wishing and not receiving? Positive affirmations are a wonderful thing. They specify who we want to be, where we want to be, and who we want to be spending our time with. They help us focus in on what we want and to start putting out the vibration for that particular thing. The question is: Do we believe them? Bob Proctor says that if you write down a lie on a card and read it often enough, that you will begin to believe it. Abraham says that a belief is a thought we keep thinking about. All of these great teachers tell us to create an affirmation, believe we have received it, and it will come. Well, they are correct, only there seems to be one piece of information missing. At what point do affirmations go from ‘hoping to believe’ to believing? I do not believe these teachers mean to leave anything out. I think it is the case where they have been at their level of making things work for so long that they have forgotten what its like to start out. For the beginner, it can seem like an incredibly uphill battle to get to that kind of “knowing”. When you say or write your affirmations, what is your gut reaction? What thoughts come up? It is very logical that if someone is extremely poor and has the affirmation of “I have $250,000” that their mind might say “Yeah, right!” when they repeat it. Noah St. John says that is the problem with affirmations, which is why he created afformations, which is a form of stating our affirmation in the form of a question. After studying the law of attraction for 9 months, I came across something that works incredibly well when my brain laughs at any affirmation (or afformation) I create. It is hard to believe and indeed know that something will work out, when your brain keeps laughing at you whenever you say it. And when your brain laughs, it is hard to put out the correct vibration to attract whatever you are going after. With four little words, you can stop that laughter. What are those four little words, you ask? Simple. When you say, write, or think your affirmation, put the words “I choose to know” in front of them. In that case, you are stating that while your affirmation is not your current reality, that you choose to know it anyway. From the moment I used those four little words, my whole life changed. The first time I used them showed their power. I received via email “proof” that something I desired and wanted to manifest would not work out because of a certain rule this organization had. I had sat on it a bit and instead of giving in, wrote, “I choose to know . . “ and my affirmation. I was writing to the person who had told me that it would not work and had thanked them for their email but that I chose to know things would work out. The moment I pushed send/receive, I received an email from the head of that particular department offering their help and giving me exactly what I wanted. Through the use of those four simple words, I had been able to get into the correct vibration to my desire. A month later, I was in a position of needing one thing to happen so that several of the things I had been manifesting would come through. Whenever a negative thought came through, I would repeat my affirmation with “I choose to know” at the beginning of it. On the last day this particular thing had to come through or my other stuff would have had to be put off, I again repeated to myself “I choose to know….. I choose to know…” and that day I received exactly the amount of money I needed to make way for two of my other affirmations. Without those four words, I know I would not have been able to create that vibration, as the thought “this isn’t going to work” kept running through my head. 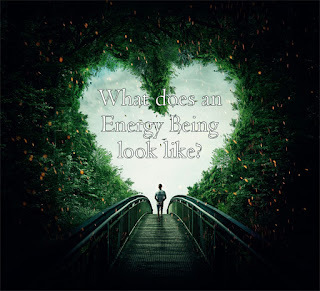 By using the “I choose to know” statement with my vibration each time, I was able to get my vibration back up to where it needed to be each time the negative thought appeared, thus allowing things to work out. Start now – Say “I choose to know . . .” and add your affirmation(s) to it. Silence that inner critic and allow your vibration to shift. Make your dreams come true. Choose to know. Add "I choose to know" at the beginning of your affirmations. So "I drive a black Mercedes" becomes "I choose to know I drive a black Mercedes". "I weigh 150 pounds" becomes "I choose to know I weigh 150 pounds". You might even want to get more exact on the exact black Mercedes you want. "I choose to know I drive a black Mercedes CLS-Coupe" carries a much better image association than just "I choose to know I drive a black Mercedes". Plus I have found the universe has a sense of humor. Tis best to be exact or it might send you what you ask...but it may end up a 1915 Mercedes Touring car instead of the one you wanted. I believe it was meant for me to stumble upon this post whilst reading about your most recent release -- Congrats again, btw!! There is something I would like to happen by the end of 2015. I have written my affirmation down as positively as I could and repeat it daily. I have even dedicated chant sessions to this thing. However, in order for this thing to happen, a string of other events need to occur. I have edited my affirmation by adding this phrase to the beginning and as I read it back, it seems much more powerful. I am so excited for the future as I feel I now have a new, stronger tool with which to face it! You're welcome, Minnie! I choose to know your affirmation will work for you and the things you need will come simply and in such amazing ways.